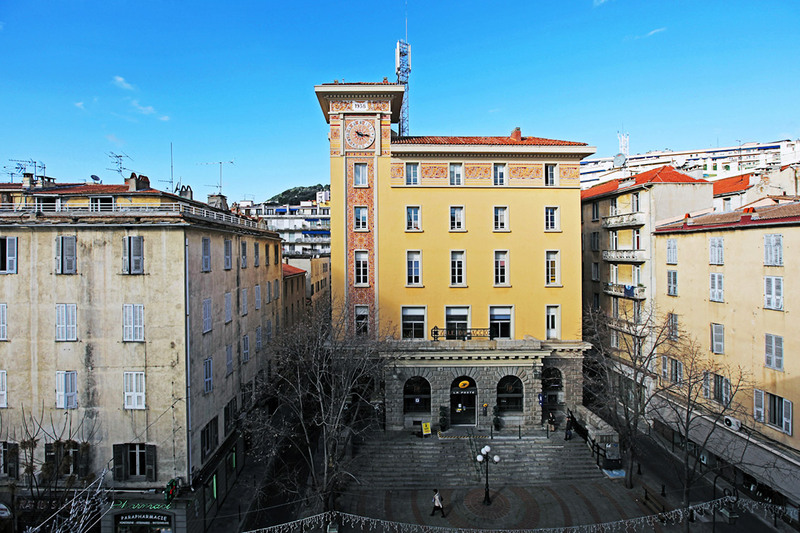 The Saint-Gabriel Post Office in Ajaccio is one of the many La Poste locations managed by Poste Immo. Created in 2005, Poste Immo has optimised and made the most of its extremely large and uniquely diverse real estate portfolio. This expertise has been recognised by companies and municipalities that have subsequently used its services. Poste Immo oversees one of the largest urban and rural real estate portfolios in France. It manages, maintains, develops, and operates more than 10,600 industrial and service-sector buildings throughout the country, which range in size from 100 to 50,000 m2. Post Immo makes the most of Le Groupe La Poste's space. It helps Le Groupe La Poste with its modernisation strategy by selling some property assets and by renovating others to better suit new usage patterns. the project to make the Piana Town Hall in Corsica more accessible, the organisation of maintenance work and repairs at the University of Toulon (39 buildings), the creation and operation of an 18,700 m2 shared logistics space in the Greater Toulouse Region, and others. Poste Immo is launching more and more development projects that are responsible, innovative, and profitable, transforming its own assets with acquisitions and partnerships that embody Le Groupe La Poste's industrial and commercial strategy. It has renovated the Grangier Post Office in Dijon (April 2018), the La Poste Museum (expected 2019) and the Louvre Post Office (expected 2019) and revived La Poste's presence in city centres. Mixed-use projects (housing units, offices, shops) undertaken with specialised partners make the most of buildings in the portfolio that are slated for sale or otherwise vacant. This was the case in Issy-les-Moulineaux and École Militaire in Paris. The Zenora building in Issy-les-Moulineaux received the Pyramide de Vermeil Prize, a national award for commercial real estate developers. With its spotless environmental record, Poste Immo is a perfect example of La Poste's policy of converting industrial postal sites, creating value for the Group and economic and social opportunities for cities.